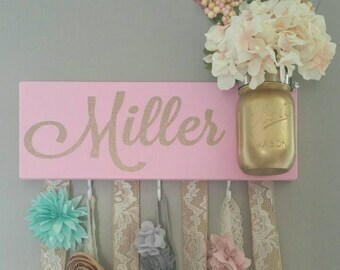 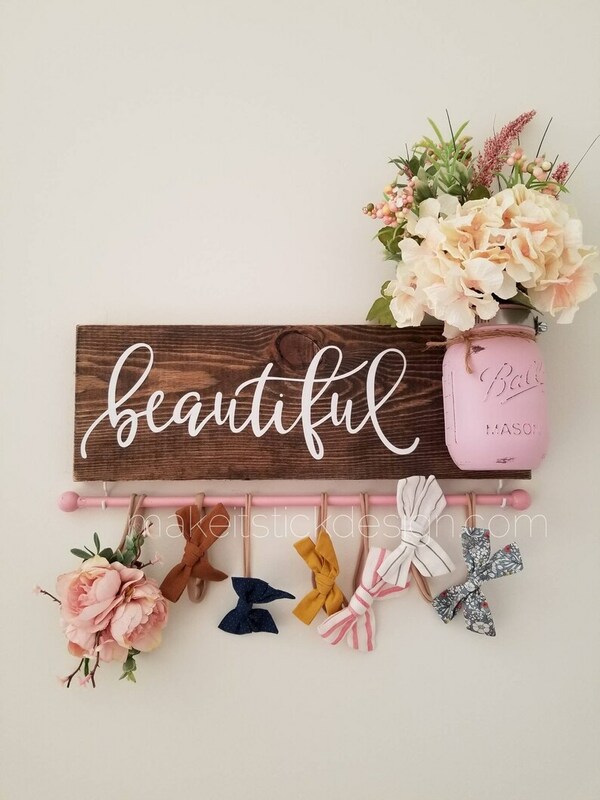 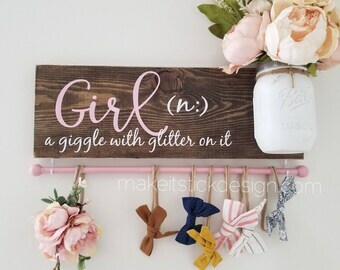 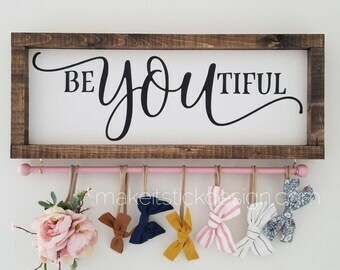 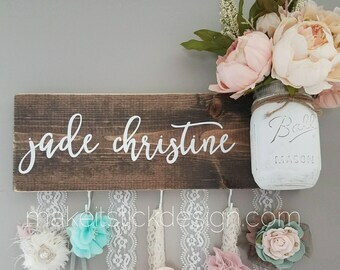 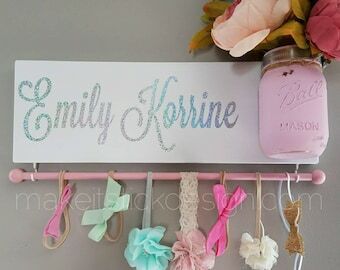 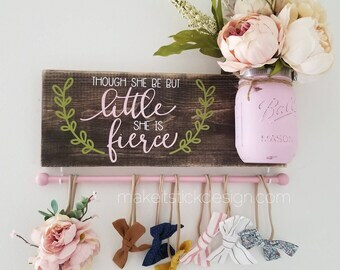 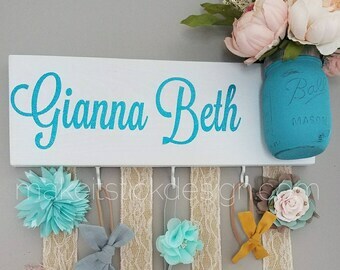 Display your little girls most treasured headbands and bows on this beautiful handmade bow holder. 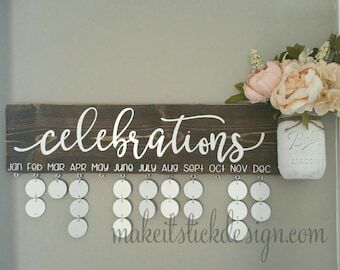 Each holder is stained brown and distressed. 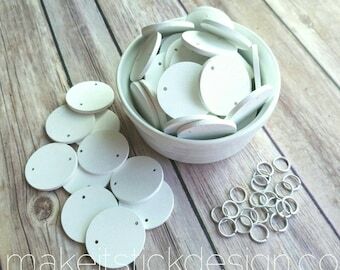 Wording is done with a high quality white vinyl. 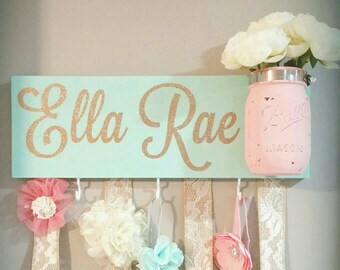 A hand painted mason jar in color of choice is attached for decorative flowers or other accessories of choice. 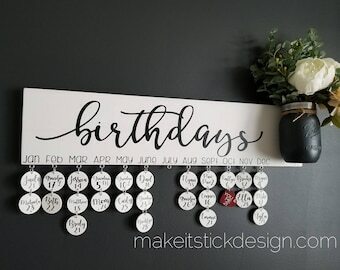 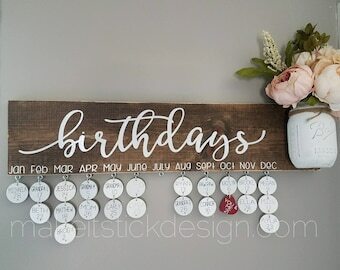 Each board measures approx. 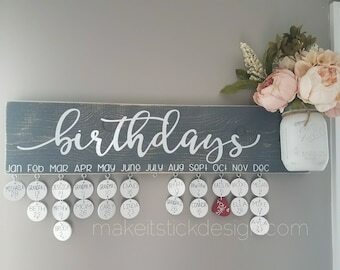 5.5" x 16". 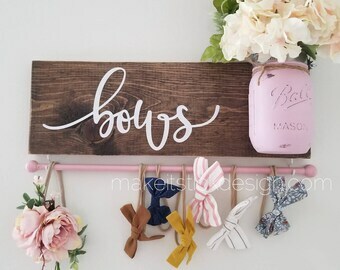 They come with (1) One Bar in color of choice and (2) Two white hooks for the bar to attach to.